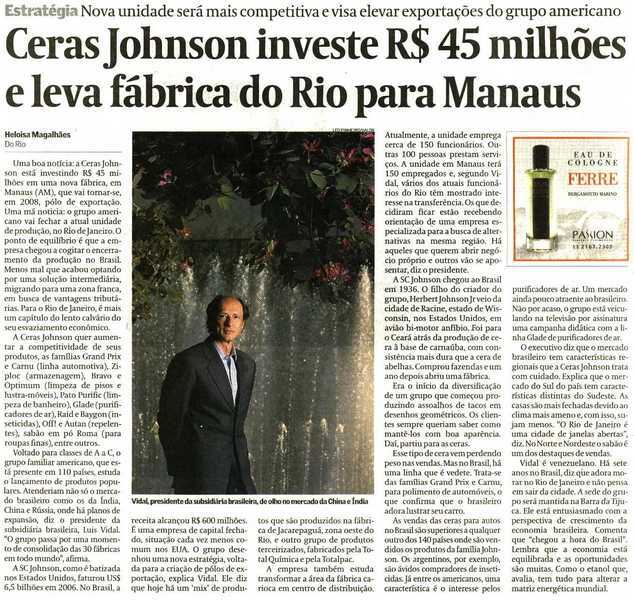 " we were in Manaus with the entire SCJ board of directors. I honestly cannot be in Manaus without thinking of you...and the way you championed that initiative with great persistence. 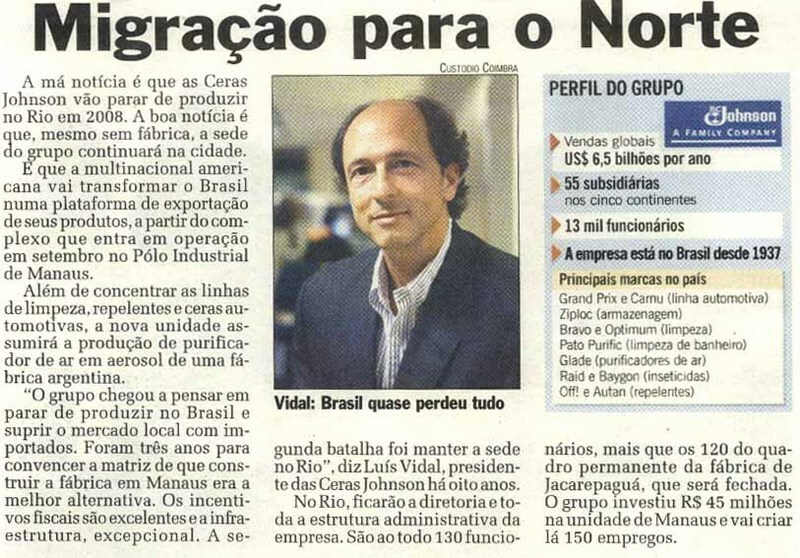 It is a great leap forward for our Brazilian company and I am sure will pay dividends long into the future. I thank you profusely for that, and all your contributions to our company. I wish you and your family the very best. Fisk Johnson. Chairman and CEO, S. C. Johnson. ¨ Luis...I would like to personally thank you for your service and many contributions to the company over the years you have been at SCJ. I appreciate, my family appreciates it. I especially appreciate the tenacity and leadership in which you took on to move manufacturing to Manaus. I really think that will be a transformative change for the company. I wish you the very best of the best... and much happiness ...in the future. Joyce Richman. Owner, Joyce Richman and Associates, Ltd. Solid experience in overhauls and turnaround. Became CEO/General Manager through a 20+ year career in public and privately owned multinational companies mostly Fortune 500. 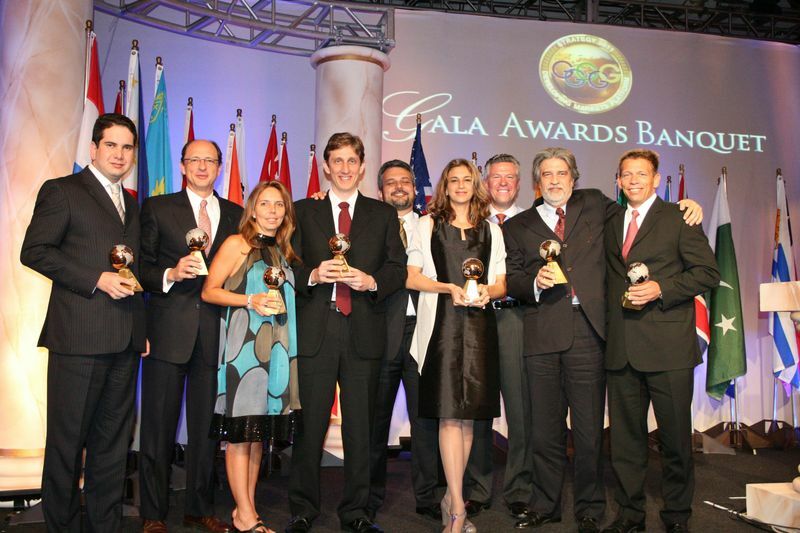 The last 15 years as President SC Johnson Brazil and Andean Region General Manager. 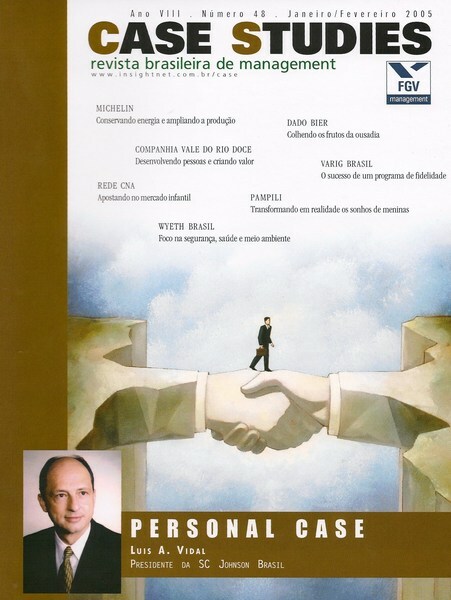 Skilled dealing with Latin America’s uncertainty, ambiguities, and economic upheavals. Possess broad understanding of the regional cultural minutiae and Consumer Goods market dynamics. Proven track of results for all stakeholders achieved by focusing on people, innovation, sustainability, quality, and efficiency. Proficient leading by means of strategic direction, planning, and organizing around selected focused objectives. Capacity and sensitivity to lead high profile professionals and teams of diverse backgrounds through complex situations internationally. Solid experience in overhauls and turn around as well as in acquisitions and integrations. During tenure annual average Sales and Profit growth were 12% and 30% respectively; while reaching 98% employee commitment index. Through innovations and shifting priorities achieved significant market share gains in priority categories in line with strategic plan objectives.Identified important opportunities in Manufacturing, Logistics and Sales which ensured the business long term sustainability and resulted in an eight-digit annual profit increase in R$. Delivered annual growth in Sales of 18% and in Net Profit of 51% in the Region; and achieved an Excellent rating in employee opinion survey. Created the subsidiary in Peru envisioning geographical expansion; and identified acquisition targets leading the due diligence and negotiation processes, which resulted in the acquisition of a company in Venezuela, and the second most important brand in a key category in Colombia. Restructured and centralized administrative functions within the Andean Region countries creating a Shared Service Center which enhanced efficiencies while reducing costs. 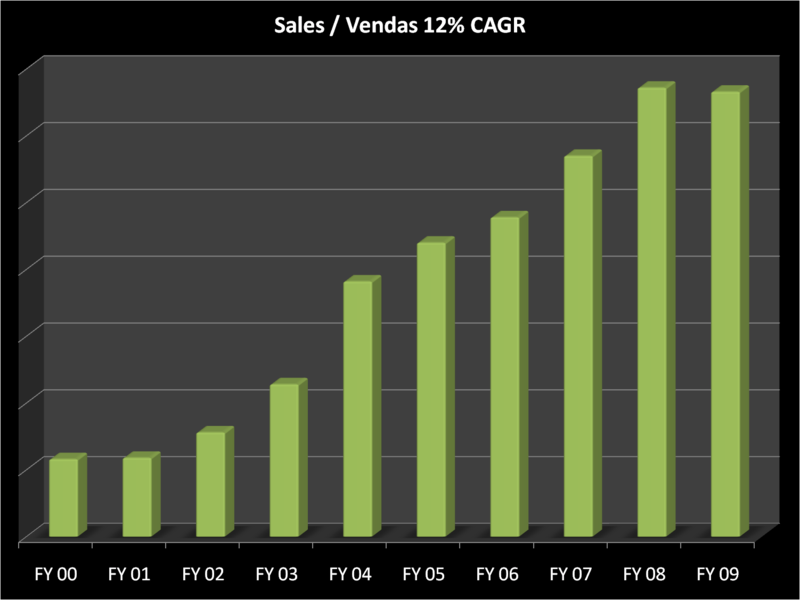 Developed and deployed the strategic marketing plan which coupled with actions to significantly increase distribution resulted in double digit market share growth in key categories in Colombia and Venezuela. At Yukery Venezolana de Alimentos - a leading producer and distributor of fruit juices, ketchup, chocolate, baby food and pasteurized milk; part of the Cisneros Group of Companies - I focused on professionalizing the Sales Force while reducing sales expenses by 10%, equivalent to US $ 4 million. 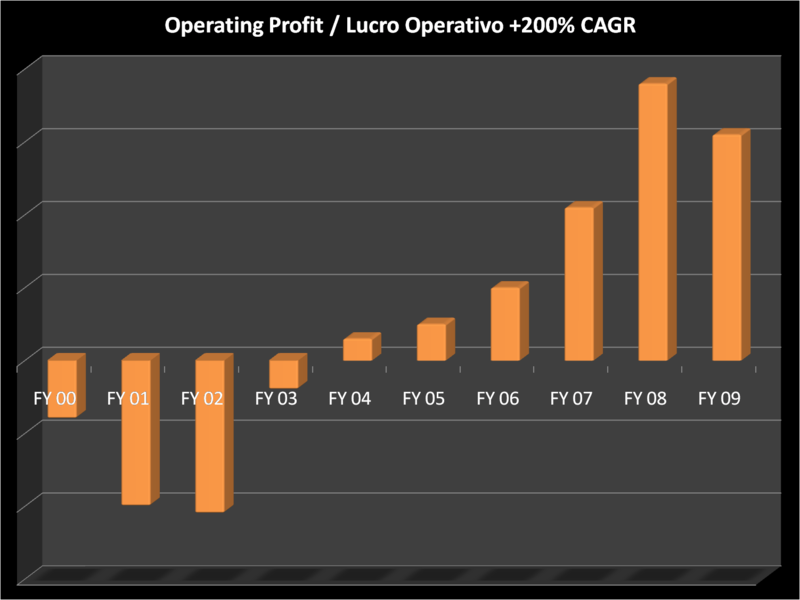 Responsible for OTC Health products, Personal Care, and Confectionery in Puerto Rico; and managing two separate Sales Forces and the Marketing department; I achieved Revenue and Profit Contribution increases of 20 % and 25% respectively, while doubling OTC drugs sales.